Today has been hectic (as you can imagine reading my entry for yesterday) and very rewarding. I got a lift to the port at 0730 to meet the Burmese longtail boat to take me on the 30 minute river crossing into Myanmar. (If you were wondering: Myanmar is the new name for Burma. I use them interchangeably here). Once I got there I clambered over the other fishing boats at the port to get to land and immediately went to Immigration. 5 minutes later I was the proud owner of another 2 stamps in my Passport and proof that I’ve been to Myanmar. The return journey was simple enough, with the threat of monsoon hanging over the big river. Once I got back to Thailand the woman from Kiwi House whisked me away to the bus for Chumphon which I was now late for - she got the driver to stop and turn around and come back for me! Getting the catamaran was straightforward enough and we were 1.5 hours on the sea in torrential rain blasting our way to Ko Tao. I am now checking into Laemklong Resort on the island. 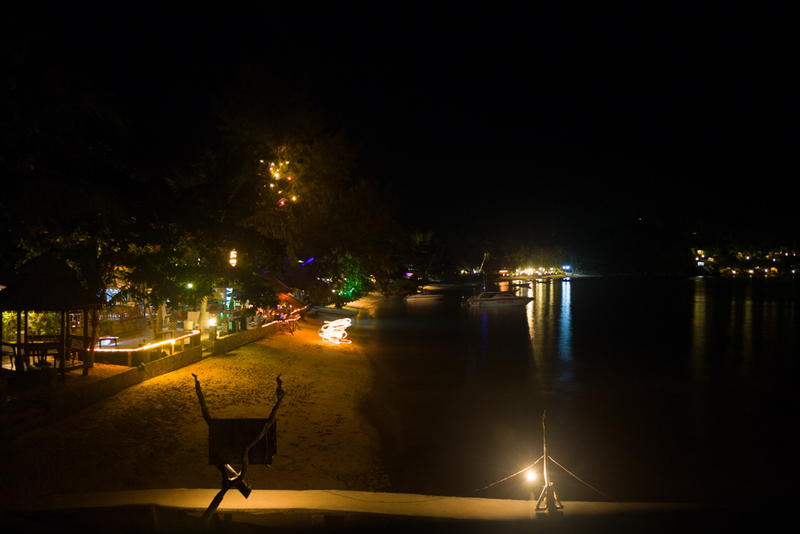 Ko Tao is a tourist island. There are no native Thais on the island, the only Thais here are for the tourists. However, the island is not big enough for major corporations or hotels and so it has a very friendly, relaxed atmosphere. All the farang (Thai for foreigner) are either Australian or European and all 20-30 years old. It is a great place. The beaches are amazing and I just love the place. I’ll hopefully spend a while here. It is a very popular place for diving as well. I’m not sure if I’ll do any though, we’ll see!